The FBX Signature X-Series Bb flugelhorn is the ultimate of the B&S line. 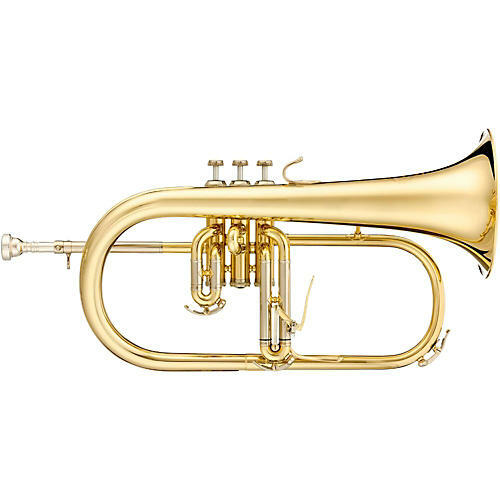 This flugelhorn features a .425-inch bore, 5.905-inch hand hammered one-piece bell and three interchangeable leadpipes for a customized response. The FBX also features bottom valve springs, Monel valves and a 3rd valve slide trigger. The FBS Signature X-Series flugelhorn includes a case and mouthpiece and is available in lacquer or silver finish.